GPCPD is part of the Red Whale family. 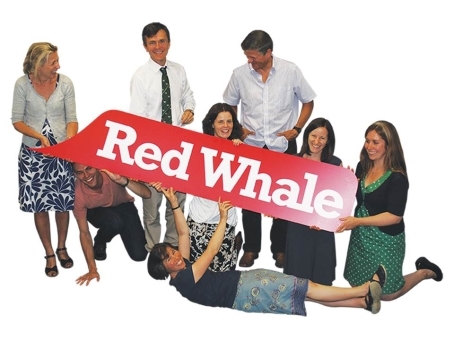 Red Whale is run by practising GPs, Pharmacists and an Advanced Nurse Practitioner - and a great support team! We are all passionate about using learning to make a real difference to clinicians in their daily work - by distilling all the latest research, and summarising it for you with pragmatism, humour, and absolutely NO involvement from the pharmaceutical industry. On GPCPD you can find not only the latest articles from our courses but also a constantly-updated archive on hundreds of additional topics, all designed to be a handy resource in consultations, as well as providing structured learning activities to help you put your reading into practice. Lucy Cox is a GP who works in Surrey and West Sussex. She is an FSRH registered trainer and is clinical lead for contraception and women's health at her practice. Lucy is Course Director and Senior Presenter for our Women's Health course. Caroline Greene is a salaried GP at Burwell Surgery in Cambridgeshire. Caroline did extended academic training with a special interest in medical education and was a GP ST programme director in Reading. Caroline is Business Development Director for Red Whale, provides editorial input on all our handbooks, and is a Senior Presenter on the GP Update course. Lucy Jenkins is a partner at Mill Stream Surgery in Benson, Oxfordshire. She was a trainer for 10 years and has worked in public health. She spent her last sabbatical at a mission hospital in Egypt and is already planning her next one. Lucy is Medical Director of Red Whale, Editor-in-Chief of all our handbooks, and Course Director and Senior Presenter for the GP Update course. Rachel Morris is a GP in Cambridge, and an executive and team coach and trainer, specialising in resilience in the workplace. She worked as a Director of GP Studies and developed and led the 'Doctor as Professional' course at the University of Cambridge School of Clinical Medicine. Rachel is Corporate Business Director for Red Whale, and a Senior Presenter on the Lead. Manage. Thrive! course. David Plume is a salaried GP in Wensum Valley Medical Practice, Norwich. He also works as a staff grade in palliative medicine and is director of the GP Cancer Update Course. David is Course Director and Senior Presenter for the Cancer Update course. Steve Pratt is a part-time salaried GP in Basingstoke, and is also an appraiser in Hampshire. He has an MSc in public health and has worked on a community health project in southern India. Steve is Training Manager for Red Whale, and is also a Senior Presenter on both the GP Update course and the Pharmacist Update course. Steve Ross is a GP partner at Mill Stream Surgery and an honorary senior clinical lecturer at Oxford University. He trained in New Zealand and worked for a number of years in East Africa. Steve writes the Red Whale 'Pearls' and also our online learning activities. Debra Sprague is an Advanced Nurse Practitioner in General Practice in Oxford. She was Senior Lecturer and Course Director for MSc Advanced Clinical Practice (Primary Care) and for Non-Medical Prescribing at Birmingham City University. Debra is Course Director and Senior Presenter for the Red Whale GPN (Nurse) course. Jamie Wyllie is a partner at a GP surgery in Norfolk, and for several years was Director of Clinical Transformation for his local CCG. He has a Masters in Quality Improvement and Leadership. Jamie is Course Director and Senior Presenter for the Lead. Manage. Thrive! course.